The predominant religion in Bali is Hinduism. Bali is a beautiful island located in Indonesia. My husband and I went there two weeks ago to see the place. The island has a lot to offer and it's full of vibrant colors, bountiful nature, bizarre architecture and admirable culture. I was wowed by the spectacular views and of course, the white sand beaches! We stayed in three different hotels to be able to scatter and see the whole island. We have no regrets! We stayed at the hills, Nusa Dua and Jimbaran beach. Our favorite place is the Jimbaran beach, it has vast white shoreline and it's not overcrowded like Kuta beach. At night, Jimbaran is a beautiful place to stay since a lot of cozy seafood restaurants array at some parts of the beach. Beautiful Balinese music were played in the background and tourists dancing with music while some people enjoying their food! Tours are also available throughout the island. If you are a sports person you can enjoy para-sailing, scuba diving or snorkeling at Nusa Dua area. An animal lover- you can see the monkeys in Monkey forests, feed the wonderful turtle in the Turtle island or simply go to the zoo or safari to see some animals. And for food and nature lovers, would you like to dine in a good Balinese restaurant with a fantastic view like a volcano or a rice terrace? 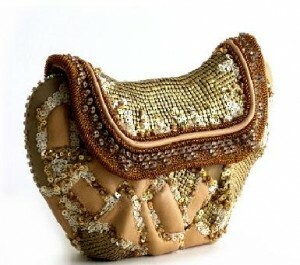 Fashionistas should not worry since Bali is known for its Batik, pearls, silver jewelry and exotic animal skin. Paul Ropp is a good shop for beautiful batik dresses, tie dye tops and handwoven bead gowns. Opt to have something in common with Paris Hilton and Julia Roberts? then you should see Sabbatha's store located at Jalan Raya Semiyak. 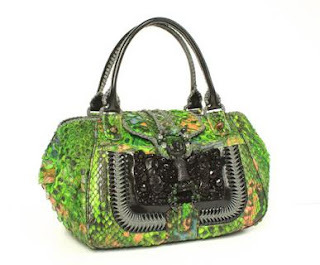 They have bags made from exotic animal skin like crocodiles and snakes.